In 1565 the Ottoman Empire sent their army of more than forty thousand battle seasoned troops and tried to invade the tiny Island nation of Malta, defended by two thousand Knights Hospitaller, also known as the Knights of St. John, along with roughly four hundred Maltese, around 6,100 in total. Referred to in history as ‘The Great Siege of Malta’, the Ottoman’s were ultimately defeated in their attempt to absorb Malta into the greater Ottoman Empire. The only time the Ottoman Turks ever failed in their attempts to conquer a territory. Though what is taking place right now on our southwest border doesn’t compare in numbers to what happened in Malta, what is going on is no less of an attempt to invade a sovereign nation. Not as it’s being depicted in the news media, as a group of poor, oppressed, “huddled masses” looking for asylum. It’s an invasion that must be fully resisted and turned back at all costs. Or the United States of America will suffer the consequences of another type of ‘occupation’ in the way of spreading crime, disease, and plunder in the form of American taxpayers picking up the welfare tab for all of these illegal aliens that will certainly be created. As is typical of the American news media – especially in the age of Trump – they continue to misrepresent the true nature of this invasion. Portraying the mass of illegal aliens as just a bunch of poor “immigrants” looking for a better life in America. 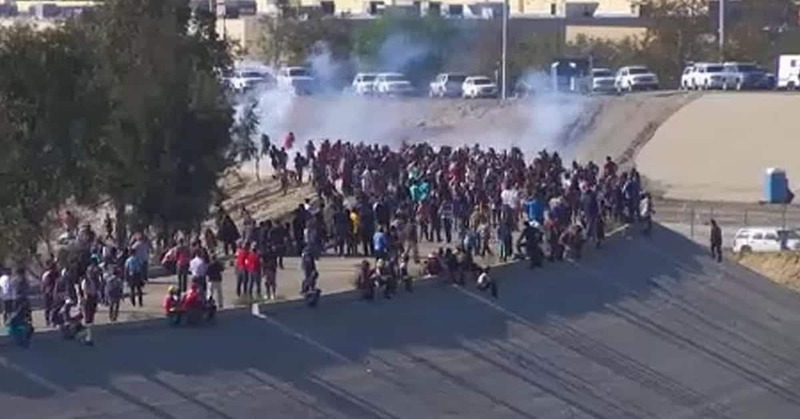 They focus their television cameras and writing on the relatively few women and children included among the group, instead of showing the overwhelming vast majority of those attempting to illegally gain entry into the United States, the young military-aged men. 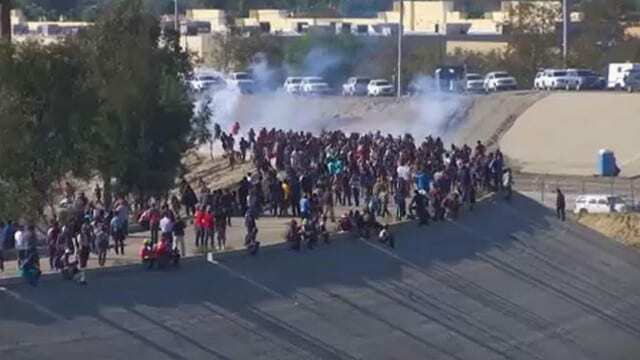 And when several hundred of the group tried to storm our border crossing forcing the U.S. Border Patrol Agents to use tear gas to disperse them and prevent their entry, the news media portrayed it as something terrible occurring under the orders of President Trump. Ignoring the fact that the same thing happened dozens of times when Barack Obama occupied the White House. But one thing the news media never does is to discuss as a contrast the countless people from other countries who have legally come to America, and have become American citizens through the normal, legal process. They’ve stood in line, patiently waited, paid the lawyers and legal fees, filled out the paperwork, and learned our traditions and history in order to become proud Americans. One case in particular is close to my heart. A friend of mine, a young Iraqi woman who worked with me when I was in Baghdad years ago came to America to attend college on a Fulbright Scholarship. She busted her tail attending college and working a full time job in order to make ends meet, ultimately gaining her college degree. She didn’t sneak into United States in the dark of night, or try to force her way in by storming our border with a large group of others trying to enter illegally. And though rightfully and certainly mindful of her Iraqi heritage she wasn’t waving an Iraqi flag when she came here. She did it the right way. And this young women has given back to her adopted country serving in a variety of ways to help protect the country she chose to become a citizen of. And America is a better place because she fully embraced our American story and chose to become an American citizen. So just as the Knights of St. John and the Maltese did centuries ago, the United States needs to stand strong against a foreign invasion. We need to send a message back to the countries these people come from. America is a nation of laws. If you don’t follow our laws, we don’t want you here. If we fail to prevent this group from illegally entering the United States a loud and clear message will be sent around the world. And it’s a message America cannot afford to send if we value our sovereignty.